Founded in 2010, NINE EYEWEAR is part of a young generation of new eyewear brands. But behind the scenes, the label is backed by the expertise of an industry veteran: Founder Jens William Sørensen has been part of the eyewear business since the early 1990s. 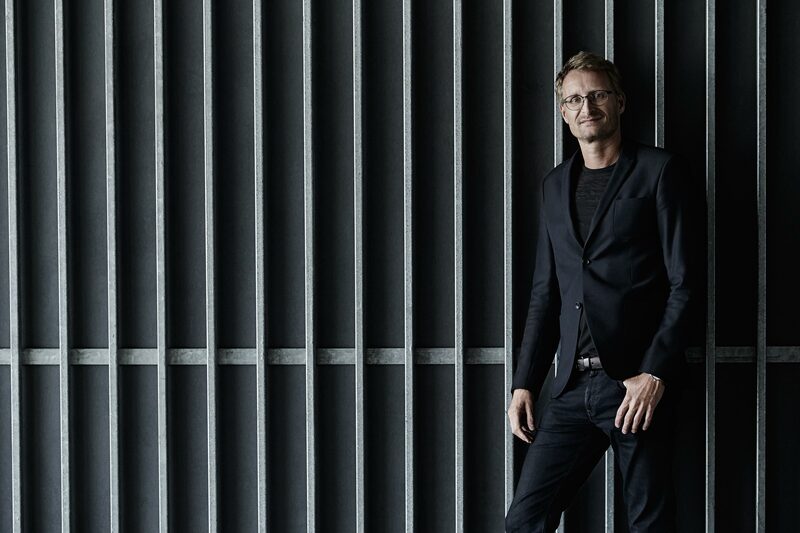 As the European distributor for brands such as OKIO and BADA, he not only gathered valuable business experience, but also hands-on insights into eyewear design and manufacturing. Over the years, the market was flooded by new brands, making it hard for Jens’ two distribution labels to be recognized, which he also attributes to lack of a unique brand DNA. All that changed with his own label, NINE EYEWEAR. At a time when many labels are making lightweight and almost invisible spectacles, Sørensen decided to produce glasses that are ultra-lightweight but also noticeable with sophisticated style. Here’s more about the Danish brand in our SPECTR brand profile. Jens, would you consider yourself a typical Dane? Look at me – I am tall, blond, and totally into creation and design. Does it get more Danish than that? Probably not. So, NINE EYEWEAR started because you were missing something at the labels you distributed, right? Speaking of design, is NINE EYEWEAR a typical Danish brand? Danish architecture and design have always been known for simplicity, functionalism and aesthetic design. We have many great designers in Denmark. We all know Arne Jacobsen, Poul Henningsen, Verner Panton, and Jørn Utzon. Also in the clothing business, we have many great designers like Malene Birger, Mads Nørgaard and Sand just to mention a few. When you look into these designers, you see a tendency of creating timeless classic design, which I find very typical for Danish design. And looking at your own label, what is your special ‘Danish’ design approach? When designing eyewear, I balance between the aesthetic design and a sublime functionality. I prefer to see NINE EYEWEAR as the accessories that highlights your personality in a sophisticated way, instead of creating your personality. As I see it, that should never be our business. Highlighting the personality instead of creating it… what’s the difference? We set out as a goal to become the eyewear that you forget that you are wearing. I know it sounds bizarre for a brand wishing to be unnoticed by the customer, but that’s actually when I feel that we have succeeded. 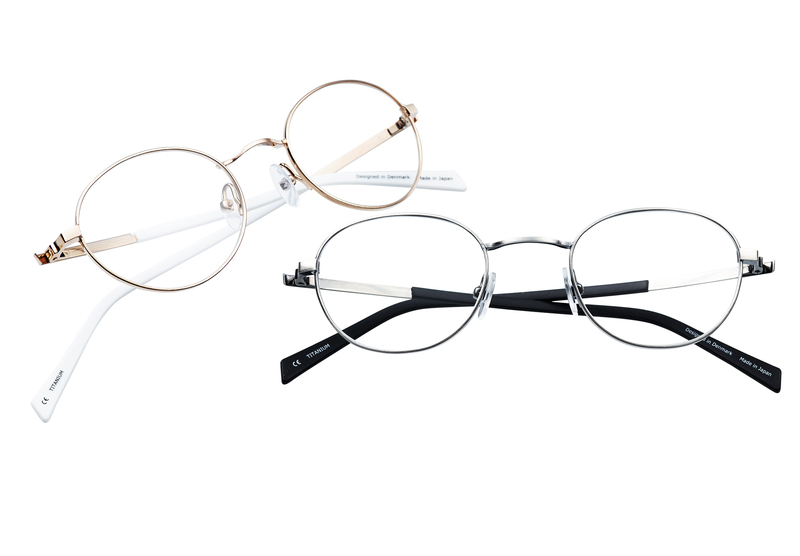 The philosophy of NINE EYEWEAR is to create pieces of eyewear that are immensely pleasant to wear, just as if you are wearing your favorite pair of jeans. You just don’t want to take them off. The use of lightweight material, rubber sleeves and flexible beta titanium are the reason why we are able to design eyewear so comfortable, it doesn’t leave any marks or headaches. 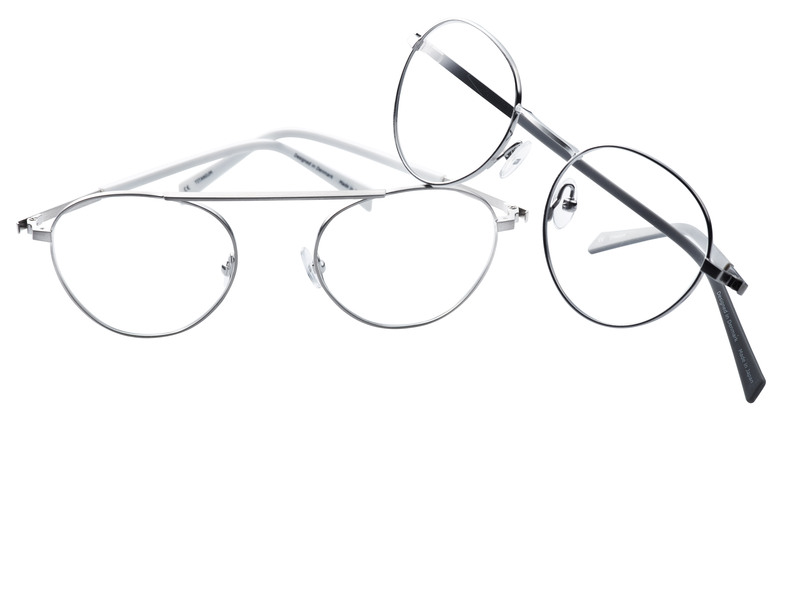 NINE EYEWEAR is ultra-light titanium eyewear without superfluous details. Light weight VS. visibility? How can you balance these contrary criteria? That is obviously the hard part. When you decide to name your brand after the weight of your product, you kind of limit your options significantly. For me it is a constant reminder that we need to be on the forefront of developing techniques for a new level of upscale material and finish. A good example is our bestselling line: NINE 3rd. We needed a plastic line in the collection, and personally I have always admired the beauty of acetate. However, as acetate is a heavy and rather stiff material, we had to look for something else for our collections. We found the perfect match in transparent polyamide. Combined with titanium temples, this ultra-light and flexible material enabled us to make really cool and durable frames, even lighter than those made purely out of titanium. The mention of titanium instantly brings to mind Japanese manufacturers? 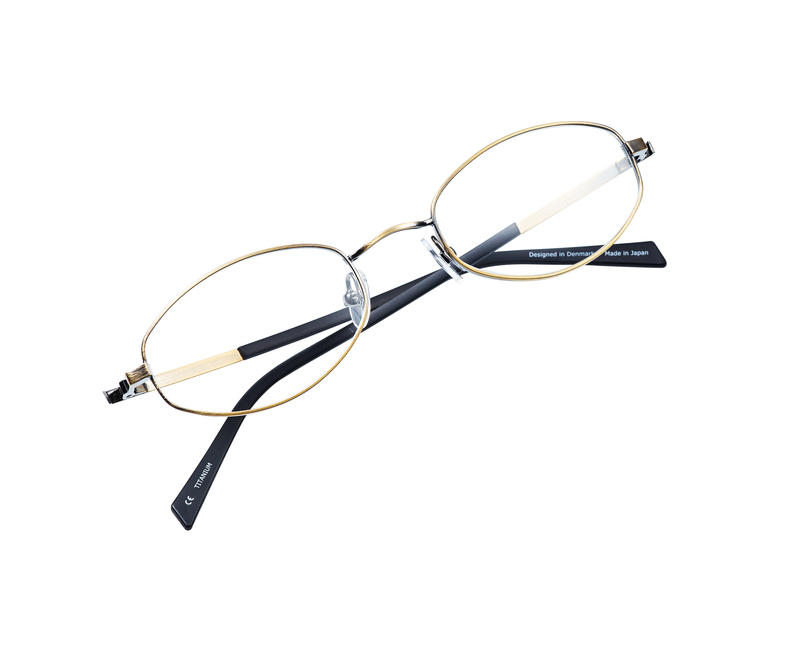 When I set my mind to create lightweight luxury eyewear, I instantly knew Japan was the only place to meet the high standard I needed to fulfill my expectations. Having worked with Japanese manufacturers for more than a decade, I knew that I was already in contact with the best of the best. Through the following year of making and testing samples, I completely lost my heart to the sublime Japanese craftsmanship, their way of thinking and also their high standard of business values. What gets you excited about their business values? The Japanese have a value they call “Monotsukuri,” referring to the precision hand craftsmanship Japan has been historically famous for, in perfecting a specific skill. I believe, that this is one of the reasons why Japanese manufacturers are able to achieve their high quality standards. And how about the values behind your own work philosophy? Being a Dane – you know, as living in the happiest country on earth – we have obligations to our manufacturers, our employees and certainly also our end-consumers. This is important to me personally. At NINE EYEWEAR we work by our Code of Conduct and I also expect for our manufacturers to do so. The Code of Conduct is a set of rules that I have written to outline the responsibility and proper practice that we adhere to in our work. I am very proud of the fact that using Japanese manufacturers goes hand in hand with our principles. Will you stick with titanium forever? The NINE 3rd line works fantastic for us by combining the need for plastic and lightweight frames and especially our wearers love them. Titanium is a great material, but we are always looking out for new ways to optimize our products. And finally, what’s special about the new collection? At Silmo we will launch a new line as part of the classic and original part of the NINE EYEWEAR collection. NINE EYEWEAR has always been dominated by larger and more Scandinavian looking shapes, which is why we are adding a more retro-looking line to complete the range. It will be a subtle mixture of a refined basic, in vintage colors, though still combining the classic look with our flexible titanium features. Sounds interesting. Thanks for the interview, Jens. // this article has been first published in issue #18.